Recently Laura and I needed to find a dinner spot down in Old Town since we were going to see a play at the Cygnet Theater! 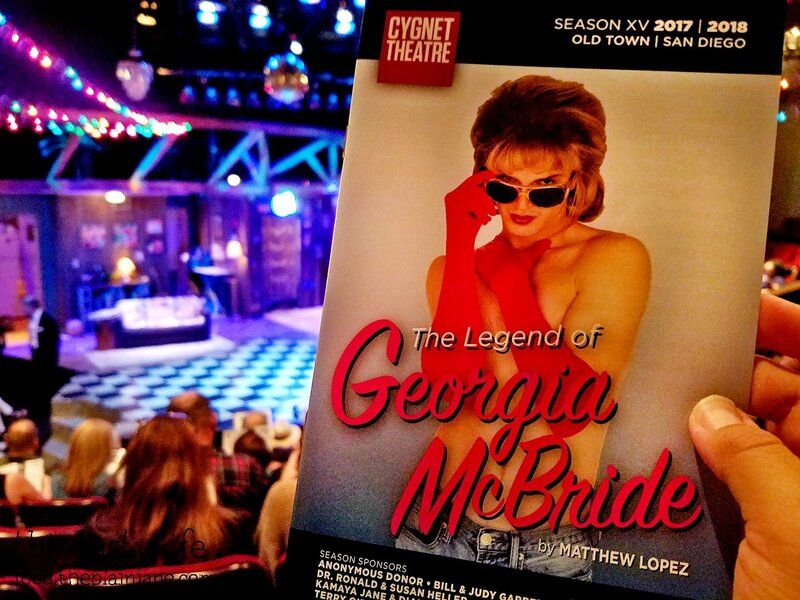 We were going to see the Legend of Georgia McBride, which is a play/musical about a dude who accidentally becomes a drag queen. Interesting, no? Highly entertaining, and I’m sure you’re already wondering, “How does someone accidentally become a drag queen?” I guess you’ll have to go to the show to find out! 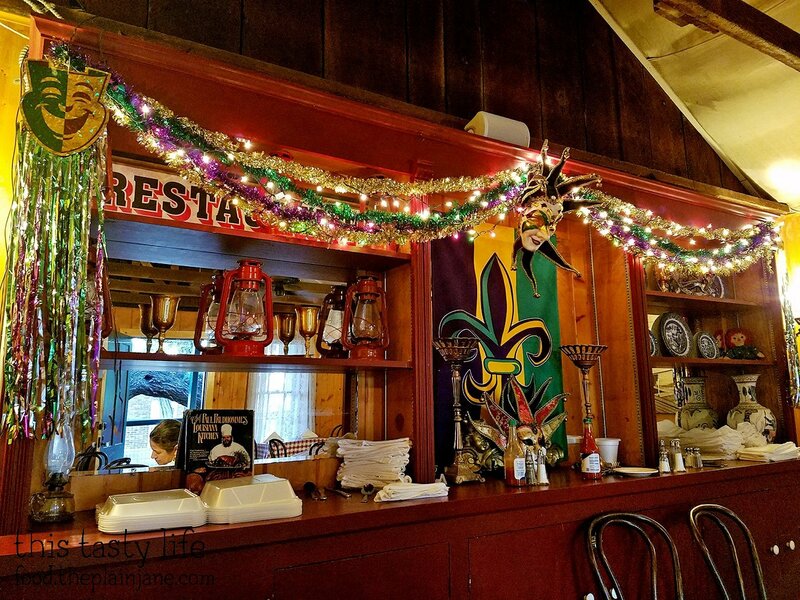 Laura and I decided to check out a spot called the New Orleans Creole Cafe for dinner. 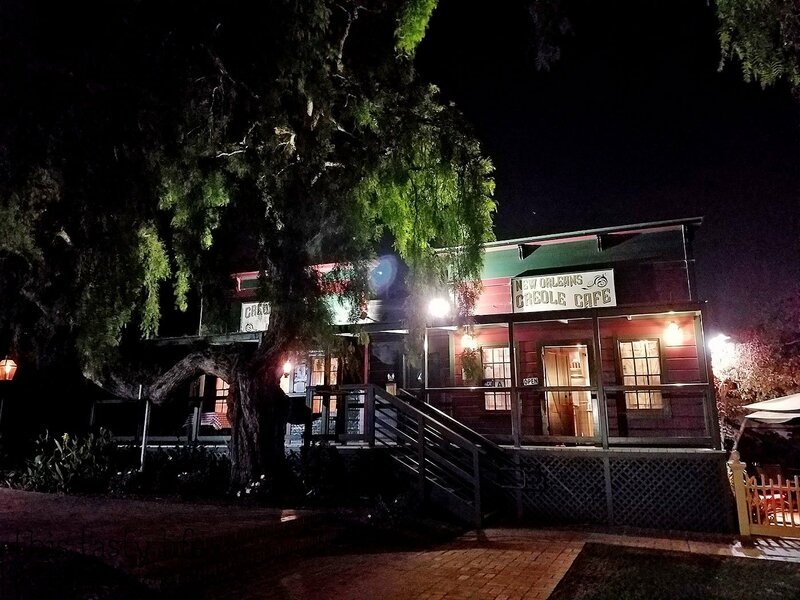 New Orleans Creole Cafe is tucked behind the Whaley House under the old pepper trees. 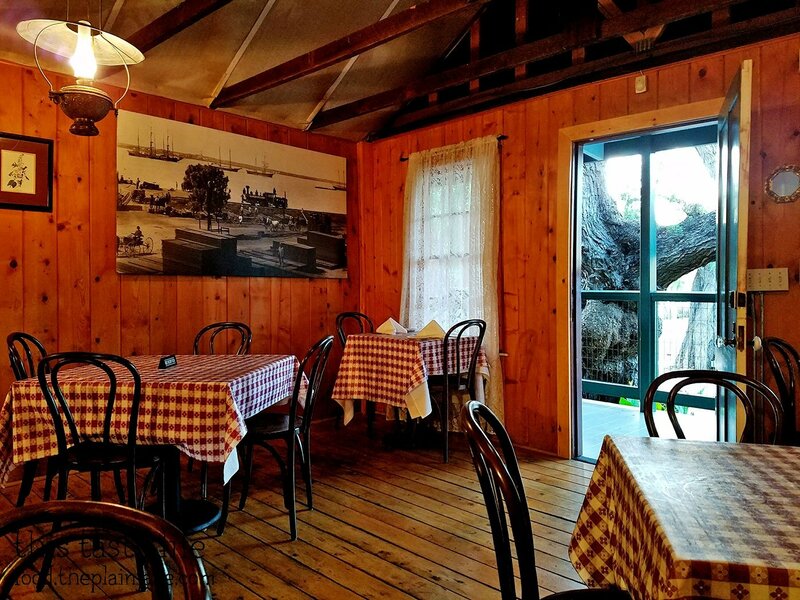 It gives the location a bit of southern charm. The dining room is to the left and the kitchen is to the right. The restaurant is pretty tiny. There were six total tables inside. When you arrive, you have to pop your head into the kitchen to let them know you’re there. Little bit of interesting Mardi Gras decor inside. 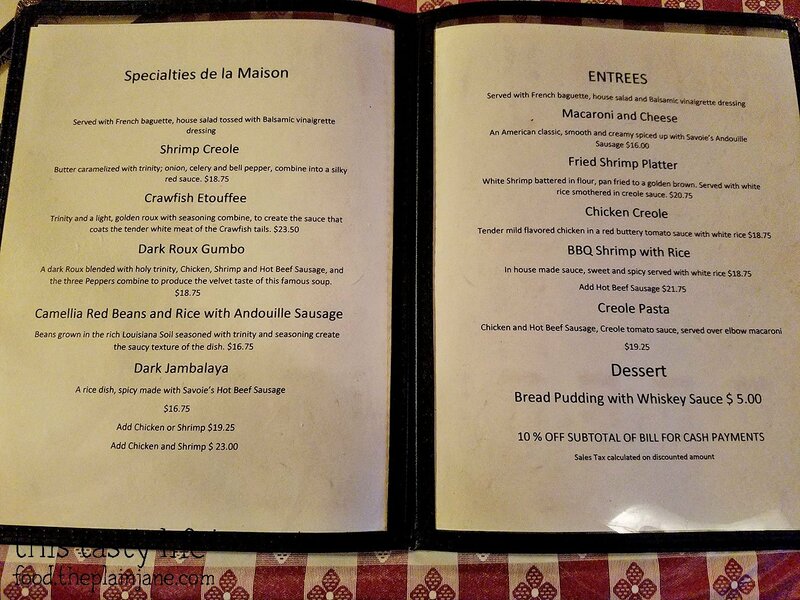 New Orleans Creole Cafe menu! 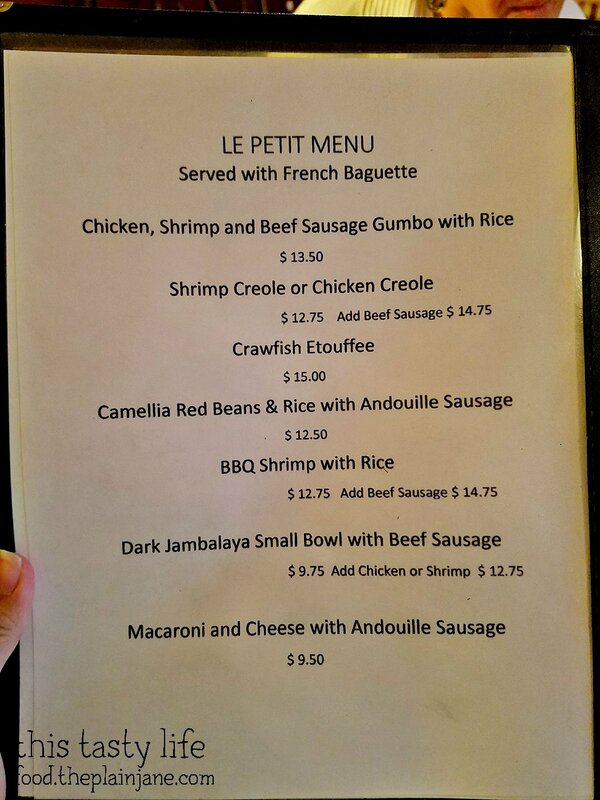 Plus a “Petit” menu if you’re not feeling as hungry or want to try multiple things. We were given some complimentary french bread to go with our meal. 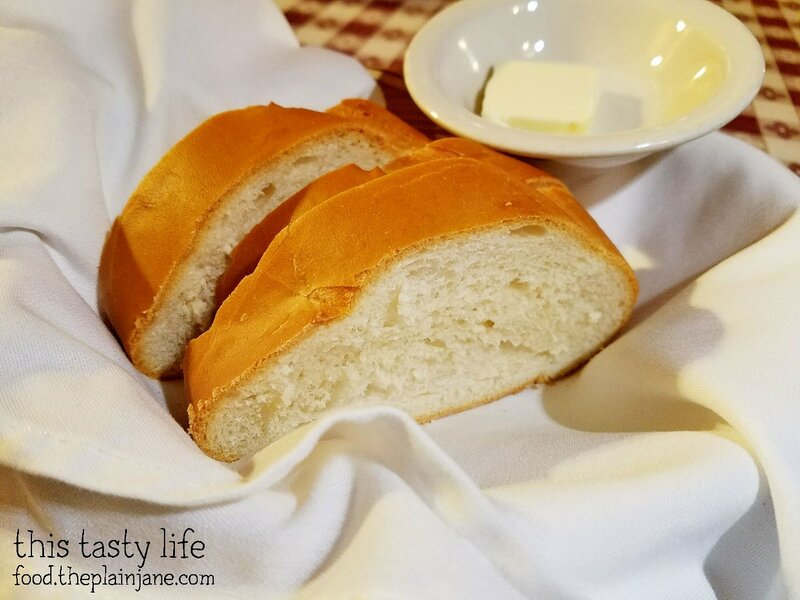 The bread was sliced into thick pieces and served warm. The butter was cold though, and it was hard to spread on. But that’s cool. We managed and the bread was quite lovely. There were lots of more creole-y dishes I could have tried, but I had a strong hankering for some shrimp. And the Fried Shrimp Platter [$20.75] sounded heavenly to me. 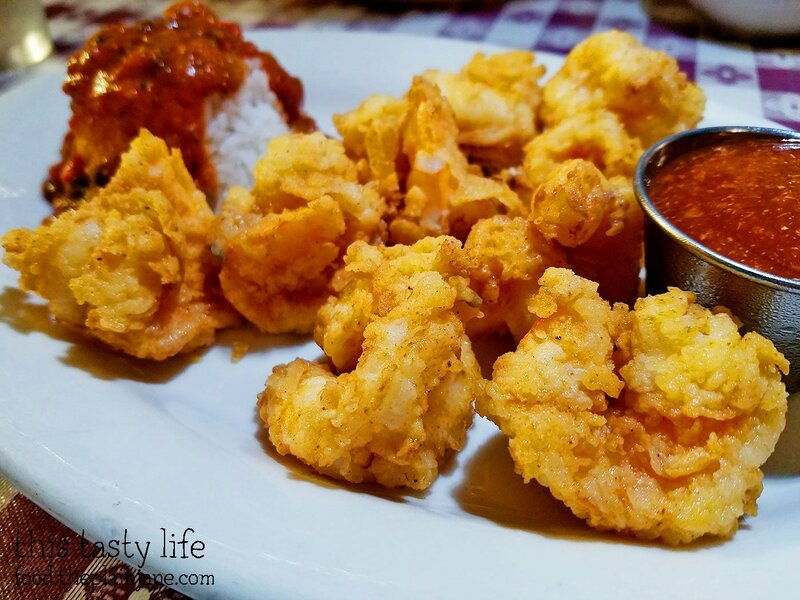 The dish comes with about 9 large shrimp fried in a simple flour batter. It’s served with a side of rice with creole sauce on top and a side of cocktail sauce. I LOVED these shrimp! They were perfectly cooked, very tender, juicy, and full of flavor. 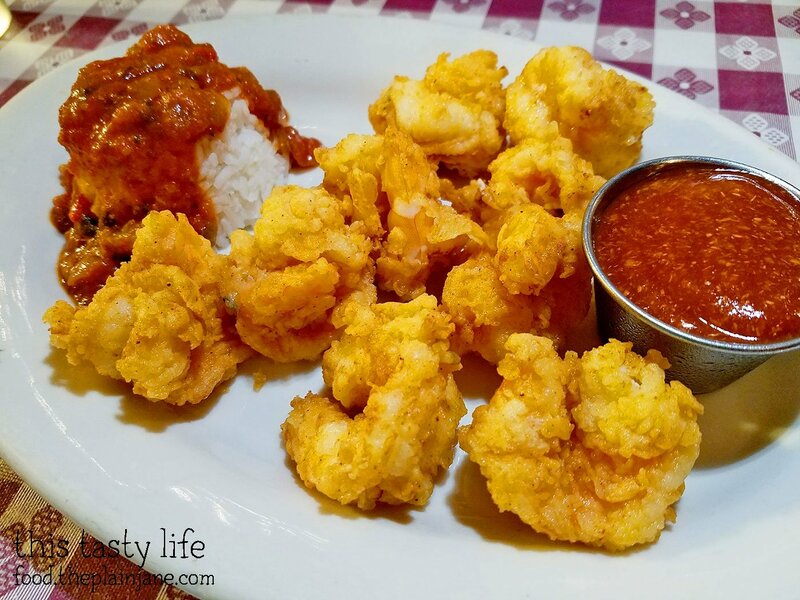 The shrimp were quite large and satisfying and had a nice exterior crunch that I loved. I was a little concerned with the price, and it probably is still a bit too expensive…. but damn these shrimp tasted awesome. I even ate all of my rice which attests to the tastiness of the creole sauce. It wasn’t spicy but had a smooth creamy tomato flavor that tasted wonderful with the rice. Laura was waffling a bit on her decision. She was thinking about trying Gumbo for the first time and our waiter explained that it does get spicy after awhile and he didn’t want her to dislike her dish. 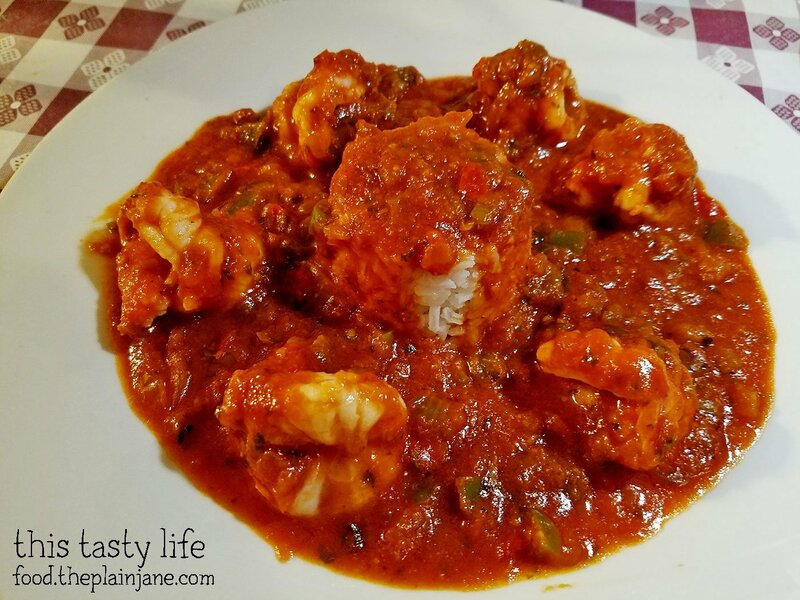 She was concerned it would get too spicy since she’d never tried it before and he steered her toward the Shrimp Creole dish instead. She got the Shrimp Creole [$12.75] from the Petit menu as well. It looked like her dish was the saucier version of mine (and her shrimp were grilled instead of fried). She quite enjoyed her dish as well. We had a shrimpy day! 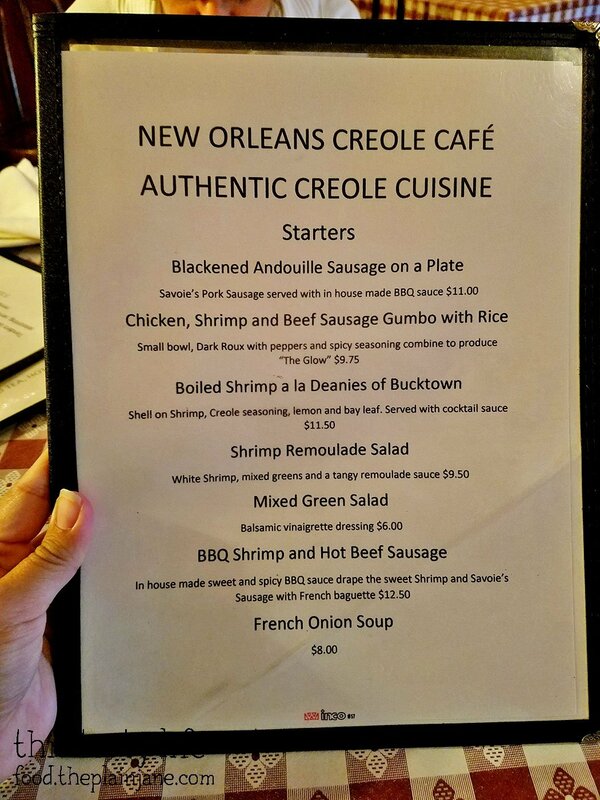 I’d be interested in coming back to the New Orleans Creole Cafe to try some other dishes, like the crawfish since I’ve never had it before. And maybe the BBQ shrimp! Wow, $20+ just for an appetizer (albeit shrimp :))? I agree, that does sound pricey although it does sound yummy. You’ve got me craving gumbo! Hi Nicole – This was an actual entree, not just an appetizer. Still pricey though haha. At least it was delicious!